Get ready for a great year! These monthly tips from ASU experts will help you have a better 2018. Alonzo Jones has one of the best jobs at Arizona State University: associate athletic director for inclusion and championship life. Who doesn’t want to lead a championship life? Jones is in charge of the “life skills” programming for student-athletes at ASU, teaching them how to balance all parts of their busy lives. “It’s a wraparound for the student-athlete to ensure that for as much as they’re giving their institution, their institution is giving as much back to them,” said Jones, who graduated from ASU. An energetic and motivating speaker, he tailors his message to the age of the athlete — freshmen learn about decision-making, stress and wellness, while sophomores become engaged in the ASU community. “After the sophomore year, it’s all about, ‘What are you going to be doing the day after graduation?’” he said. A little verbal shortcut that Jones and the department have come up with is “45” — reminding the young adults that one day, they’ll be 45 years old. “It’s a reminder that students must prepare now for a good quality of life later,” Jones said. His advice? You have different identities and must wisely choose which one to wear and when. There’s plenty of time for social interests and fun, as long as “the intellectual self is the lead guardian of your life,” Jones said. It’s good advice for everyone of any age: Have fun, but make sure you’re also thinking past Friday. To that end, we’ve gathered advice from a variety of ASU experts on ways to prepare for a better year ahead. There’s one tip for every month, with two in January — just so you can hit the ground running. Although you should be changing your passwords more often than once a year, it’s a good way to start the new year off right. If it’s something you find really difficult, you may want to consider purchasing password management software, such as LastPass or KeePass. The winter offers a particularly bright and clear sky for stargazers. Patrick Young, an astronomer in the School of Earth and Space Exploration, encourages stargazers to appreciate the stellar life span they’re witnessing. “As the year begins, go outside when night has fallen and look to the south to see the constellation Orion. The darker your sky, the better, but you can see the bright stars even from the city; short of the sun and moon it’s the easiest thing in the sky to recognize,” he said. About 30 percent of Americans have low vitamin C status, so ASU nutrition Professor Carol Johnston recommends considering supplements during the winter months to ward off nasty bugs. “Research at the School of Nutrition and Health Promotion at ASU reports a 45 percent reduction in colds and cold symptoms in young adults taking 1,000 milligrams of vitamin C daily during the winter months,” said Johnston, associate director of ASU’s Nutrition Program. As a bonus, the supplementation also increased physical activity levels of participants compared with the placebo treatment. Johnston also recommends favoring fist-bumps over handshakes during flu season, along with frequent handwashing. How much data is sitting around on your devices that you never use? “March is a great time to clean that data off of your systems and free up space,” Jones said. Also take the time to shut down old accounts for applications you no longer use and clean those old apps off of your devices. April is National Volunteer Month — it’s a good time to spring into action, says Victoria Ames, professor in the Sandra Day O'Connor College of Law. She believes everyone has talent that can benefit their communities. 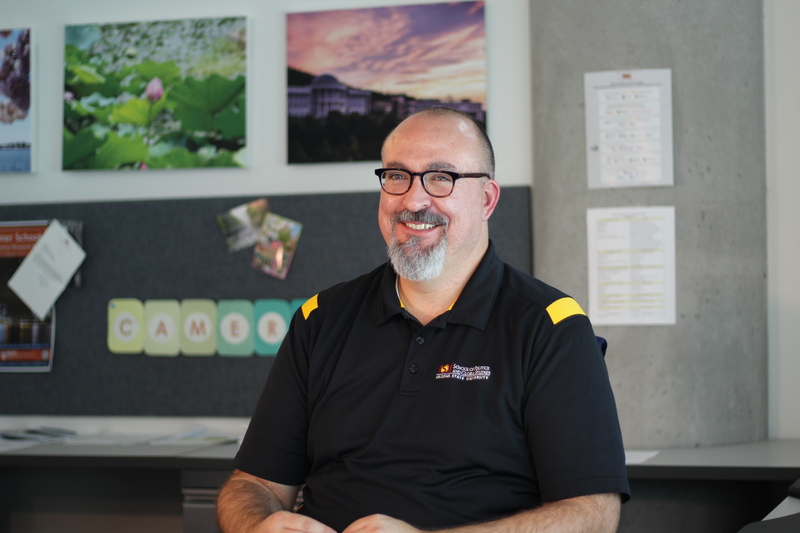 Neal A. Lester, director of ASU’s Project Humanities, says the long-running homeless outreach program “Service Saturdays” is a good way to get in touch with your humanity. For information, visit projecthumanities.asu.edu or call 480-727-7030. The goal, he said, is to simplify your life by buying less, eating more simply and using your body more often for things like transportation or entertainment. His blog, Practically Awesome, explores minimalism in more depth. It’s halfway through the year. Are you halfway to your financial goals for 2018? It’s a good time to check in. Creating a “net worth report” is an easy way to see where you stand each year and monitor your progress, says Debra Radway, W. P. Carey School of Business lecturer as well as a certified financial planner, trustee and investment adviser. Make a list of everything you own (house, car, investment accounts, 401(k), IRA, etc.) and put the current value of each next to it. Add it up; these are your assets. Then make a list of everything you owe (mortgage, car loan, student loan, etc.) with the amounts owed. Add those up; those are your liabilities. Now take what you own and subtract what you owe — that’s your net worth. Monitoring this on an annual basis helps you know where you stand financially and helps you monitor progress toward your financial goals. And if you aren’t contributing enough to your 401(k) to take full advantage of a company match, get on it and give yourself a raise, Radway says. A match of even a few percentage points could add up to $100,000 or more after 30 years of contributions and growth — and that’s free money. Summer headlines are full of natural disasters, from forest fires to hurricanes to monsoon floods. Cheryl Schmidt, a clinical professor in the College of Nursing and Health Innovation who has been a volunteer nurse in the American Red Cross since 1974, says it’s easy to become complacent, especially if you live in an area that faces less risk of natural disasters. “But any area is at risk for man-made disasters such as apartment fires, overturned tankers transporting toxic chemicals or even terrorist attacks,” she said. Each individual and family should personalize their lists and supplies, preparing them to quickly evacuate the area or to shelter in place. Find more information at www.redcross.org and www.ready.gov. Back-to-school time can be a good motivation to expand your own mind. “The key to learning new vocabulary is excitement,” Regents’ Professor of English Elly van Gelderen said. She recommends looking for new words in your own areas of interest to keep you motivated. There are plenty of resources online, such as World Wide Words, where you can find “great-sounding words” and click to find out their meanings. “Select new words to memorize, keep a list of the ones you like, put them in a sentence, and review them,” she said. Also, learning about the history of language is a good supplement to vocabulary and can help keep you engaged. For example, the words “cool” and “glacial” are related. Many people have a view of the opera as stuffy, loud and indecipherable. But that’s not true, says Brian DeMaris, artistic director of Lyric Opera Theatre. DeMaris discovered the opera in college and says he was surprised by how entertaining and relevant it was and still remains. Phoenix has several to offer, including ASU’s own Lyric Opera Theatre in the Herberger Institute for Design and the Arts, producing two operas and two musicals per year. The upcoming holiday season is a great time to make sure all of your data is backed up and stored in a secure fashion. “Do not depend exclusively on cloud-based services to store your critical data,” he said. Instead, invest in a local external hard drive and keep a copy of your data locally. More security advice from Jones — keep this in mind this month as well as in April. “As tax season and holiday season approach, scammers increase their efforts to relieve you of your sensitive data,” Jones said. He advises being extra cautious of suspicious emails and phone calls, and making sure your security software is up to date. When the holidays’ hectic pace gets to be too much, find a spot outside to sit and listen — “headphones off, phone silenced,” said Associate ProfessorPaine is an associate professor in the School of Arts, Media and Engineering and a professor of composition in the School of Music. Garth Paine, whose research interest is studying sound in the wilderness. It’s a simple way to connect with the world and to recenter yourself. Reporters Mary Beth Faller, Emma Greguska, Marshall Terrill and Scott Seckel contributed to this story. A version of this story appeared in the January 2018 issue of ASU Thrive magazine. Cameron G. Thies, professor and director of Arizona State University's School of Politics and Global Studies, has been elected president of the International Studies Association (ISA). ISA holds an annual meeting in North America, six regional meetings and additional meetings in cooperation with other national and international associations around the globe every year. ISA also publishes seven academic journals, including the prestigious International Studies Quarterly. Thies will begin his presidency as president-elect at the upcoming 2018 annual meeting in San Francisco. He becomes president at the conclusion of the 2019 meeting in Toronto, where he will select the theme and program chairs of the subsequent annual meeting. In 2020, he will preside over the executive committee, governing council and annual business meeting before assuming the role of past-president in Honolulu. This three-year commitment represents the culmination of many years of service in the organization. Thies has previously served as program chair and president of the foreign policy analysis section, program chair and president of the ISA-Midwest Region, and program chair and president of the ISA-West Region upon moving to ASU. He has also held numerous committee posts within the organization, as well as serving as vice president. His record of service was recognized in 2013 with the Ladd Hollist Service Award. He has also recently been recognized with several Distinguished Scholar Awards recognizing his scholarship, teaching and service to ISA. More information about the International Studies Association can be found at isanet.org.